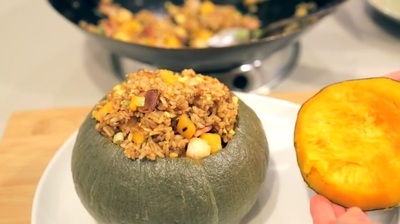 Fried Rice is great with Japanese Kabocha. It's a unique ingredient to use, but it works & tastes amazing! Pumpkin Fried Rice is what I like to call it, because this recipe uses the whole pumpkin as part of the presentation. (That and it's easier to say Pumpkin Fried Rice vs. Kabocha Fried Rice) I've made this dish for potlucks and dinner gatherings and it always gets rave reviews. Maybe it's the thick slices of bacon that go in there to give it a smoky savory taste? 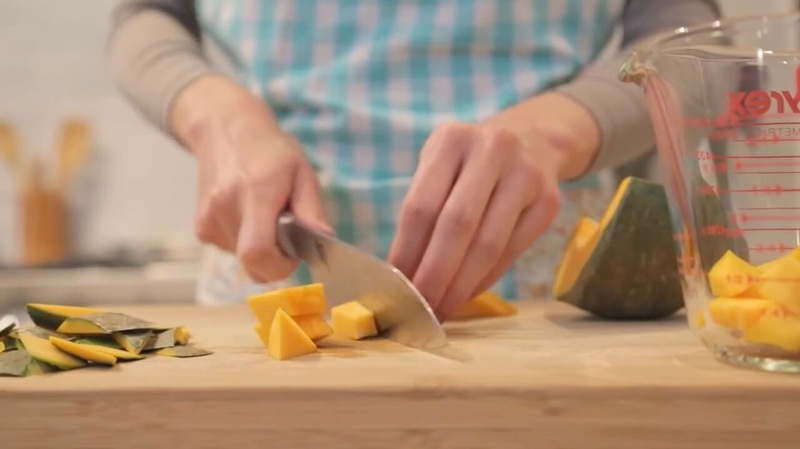 Or the sweet tasting kabocha? Either way, this makes for great tasting leftovers the next day (if there's any left). Oh and if you're wondering, Yes! you can eat the green kabocha skin. My Grandma says it's okay. ; ) Plus the skin tastes sweet and apparently it has it's health benefits too! Tip: This recipe works great with leftover white rice. Make a big batch of rice the day before and you'll be ready to cook! ** The day before or earlier in the day, cook 1 cup of white rice in your rice cooker. 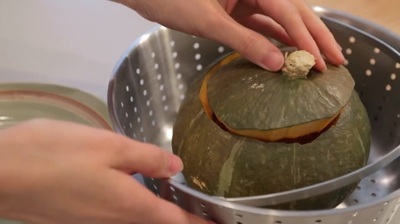 Then let the rice cool completely before using in this recipe. 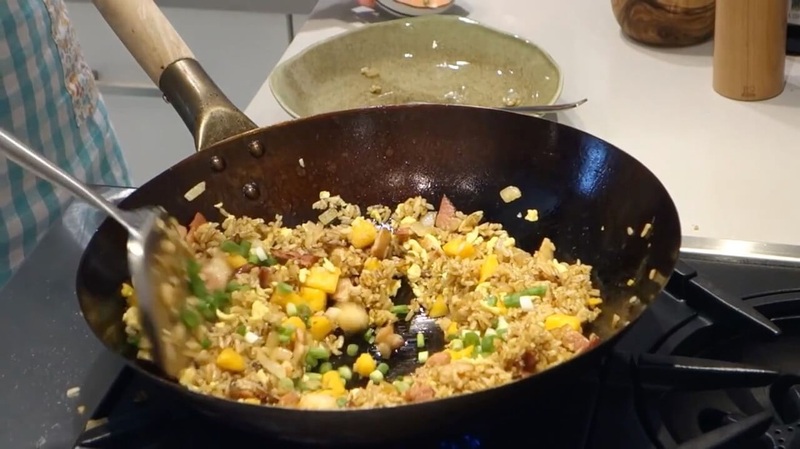 It is okay to make the rice ahead of time and store it in the refrigerator overnight. Stir fry the rice along with the other ingredients for a total of about 15 min.